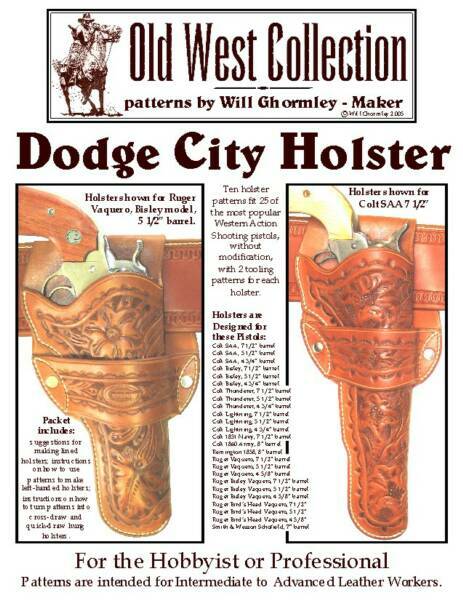 $40.00 Patterns for ten holsters fitting 25 of the most popular Western Action Pistols without modification. Two tooling patterns for each holster. 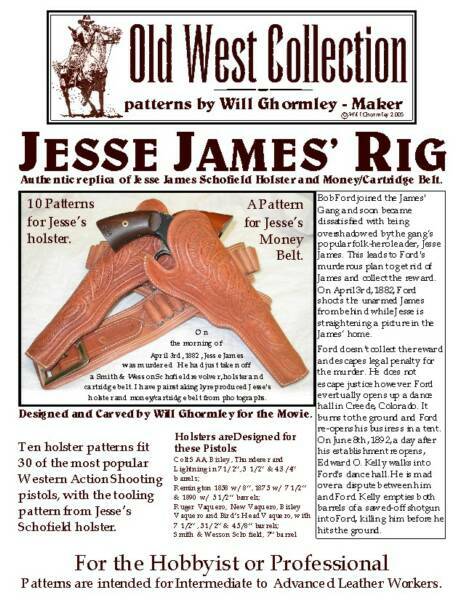 $40.00 Patterns for reproduction of Jesse James' Holster and Money/ Cartridge Belt. 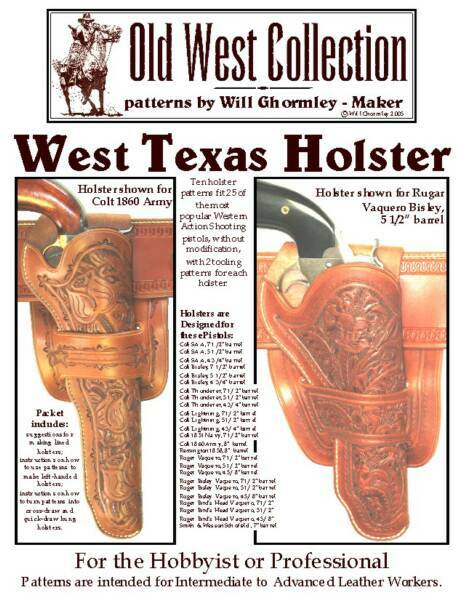 Same pattern I used to make holsters for Brad Pitt as Jesse James in the new movie for 2006. 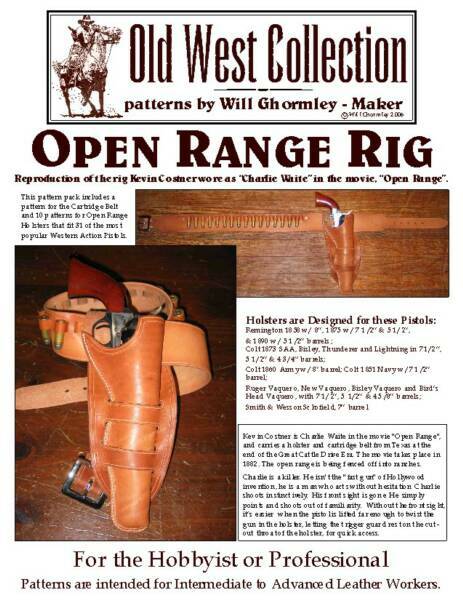 $40.00 Patterns for reproduction of holster and belt worn by Kevin Costner as "Charlie Waite" in the movie, "Open Range". Ten Holster Patterns fit 31 pistols. One Cartridge Belt pattern. 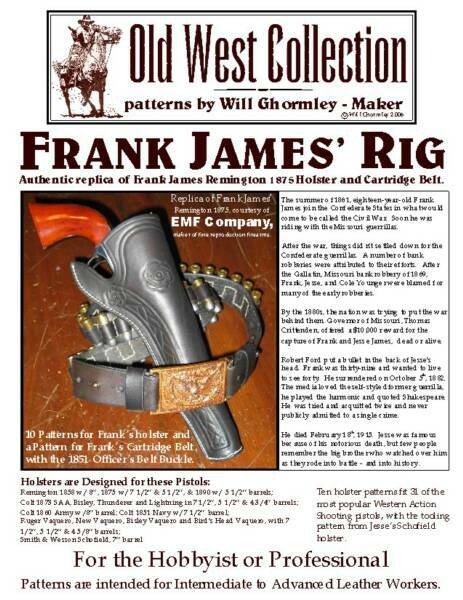 $40.00 Patterns for reproduction of Frank James' Holster and "Fair Weather Christian" Belt. Ten holsters fit 31 of the most popular Western Action Shooting pistols. Click Envelope Cover to Read Story. 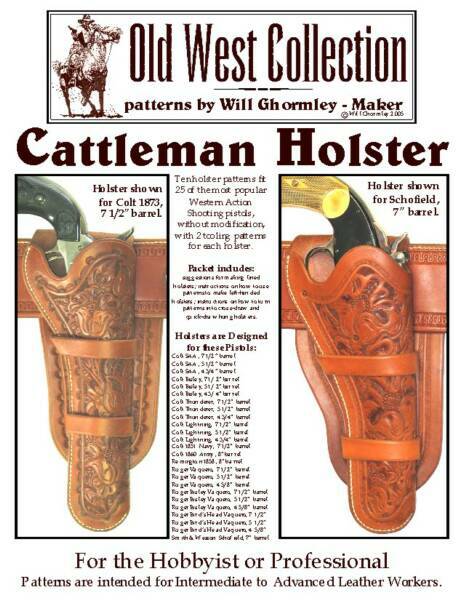 Ten holster patterns to accommodate over 30 of the most popular Old West Single Action Pistols. Cartridge belt pattern included. Based on actual pattern used for Russell Crowe. Shipping within the United States is $10 for up to 4 patterns.